Tiny Tigers classes are designed for children aged 4 to 7 inclusive. Pre-school Karate classes help young children learn discipline, listening and motor skills that will help them in school. 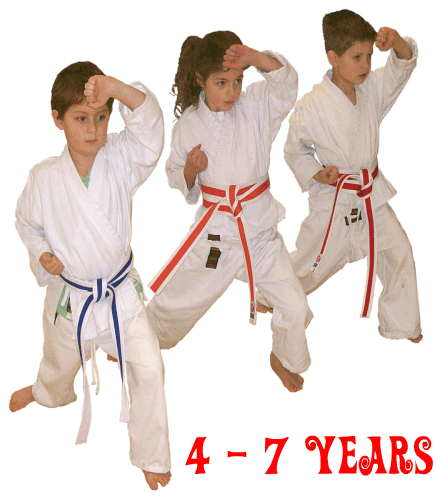 Junior Karate classes help children develop coordination, confidence, self-discipline and respect for authority. We offer expert instruction in Karate, Self-Defense, and Personal Safety. Proven methods in positive instruction, which help children develop self-confidence, self-discipline, physical fitness and respect for authority. Fun and energetic classes that children love to attend!